This Sunday, we have Luke’s version of the Lord’s Prayer. It’s not quite the same as what is used in our Evangelical Lutheran Worship (ELW) that we pray for traditional worship. Actually it’s a little closer to the modern version of the prayer that we use in Heartsong. Luke goes on to quote Jesus teaching about prayer; He tells a brief parable about a friend visiting a neighbor at midnight, asking for bread to feed someone who has interrupted his night as well. The man refuses because, after all, it’s midnight. God-fearing people in those days didn’t open their doors at midnight; it was pretty unheard of. However, the man outside persisted, and, the man in bed got up and helped him. Jesus said in verse 8 that because the man persisted at his asking and knocking, he finally received what he needed most. 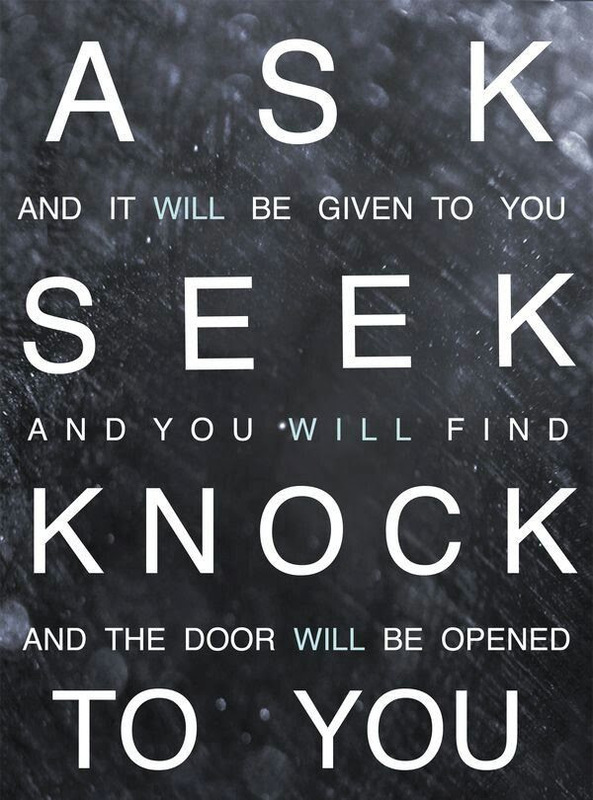 This is where we get that other famous quote of our Lord about “Ask, Seek, and Knock.” Jesus assures His listeners that in your persistence of God in prayer, you will eventually get what you need. I’m afraid it doesn’t work if you pray to God to win the lottery, or for a new car, or for some newfound success. If your “asking, searching, and knocking” doesn’t have at the top of its intent to somehow glorify God, it’s just not going to happen. Through my life-long discipline of praying, I’m a great example of this fact. I’ve asked for many things that I have never received. Jesus says that we should – while in prayer – seek “good gifts” (vs. 13). To me, “good gifts” are gifts that lift up the name and person of God Himself. If somehow our requests will help make this a better world in which to live (which is one way to glorify God), somehow, it will be granted. Again, it doesn’t mean that with prayer you can get a clear-cut vision of who to vote for in November, or, how to better your bank account. What prayer does do is help us realize the greatest needs of ourselves and the world around us, and, prayer helps us focus on how to accomplish these wonderful, life-giving goals ourselves. Remember – “…ask, search, and knock…” are all action verbs. When you pray, be ready for a divine response, -and-expect a personal, earthly one as well. What I mean by this is: when we ask God for something, get ready to go to work. It’s just the way it is.